KARACHI: Sale of locally produced cars slightly rose by 4.3 per cent to 64,834 units in July-January 2013-2014 as compared to 62,158 units in same period last fiscal year. Consumers� preference to buy car in January due to change of model year pushed up overall sales last month to 11,955 from 7,213 units in December 2013. 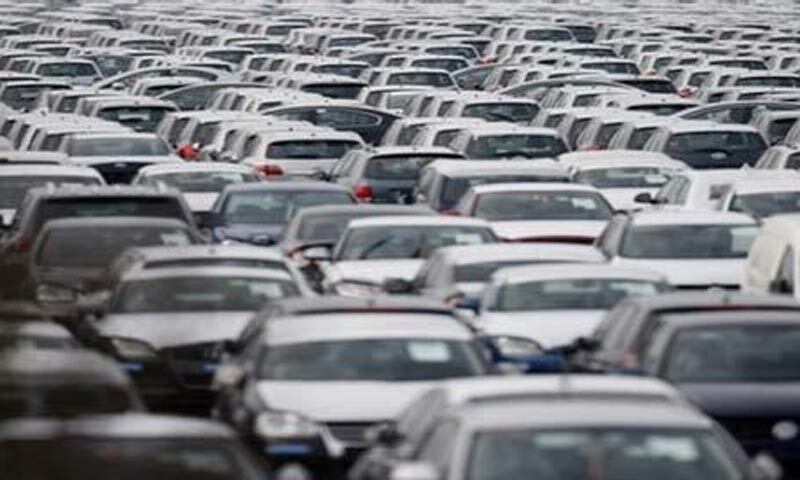 Figures released by Pakistan Automotive Manufacturers Association (PAMA) revealed jump in 1,300cc and above cars by seven per cent to 32,063 units in the last seven months of current fiscal year from 29,974 units in same period last year. The decline in sales of Suzuki Swift and Liana was nullified by sales growth in Honda Civic, City and Toyota Corolla. Honda Civic and Honda City sales rose to 5,525 and 7,064 units from 4,718 and 5,795 units. A total of 16,486 units of Toyota Corolla were sold as compared to 15,725 units. Suzuki Swift and Liana sales dropped to 2,879 and 109 units as compared to 3,624 and 112 units. Liana production remained nil in January while only 22 units were sold in the same month. In 1,000cc category, Hyundai Santro resumed its production with 82 units in January while only 18 units were sold. Sources said the assembler has planned to produce 128 units in February due to availability of parts. Production of Hyundai Santro began in 1999-2000 with 599 and 378 units but came into an end in 2009-2010 with production and sales of 212 and 244 units, respectively. From 1999-2000 to 2009-2010, total production and sales of Santro was 36,716 and 36,519 units. Suzuki Cultus sales grew by 17pc to 8,711 from 7,459 units. In 800cc and below, Suzuki Mehran sales fell by 8.6pc to 16,232 from 17,771 while Bolan sales went up 13.4pc to 7,810 from 6,883 units.